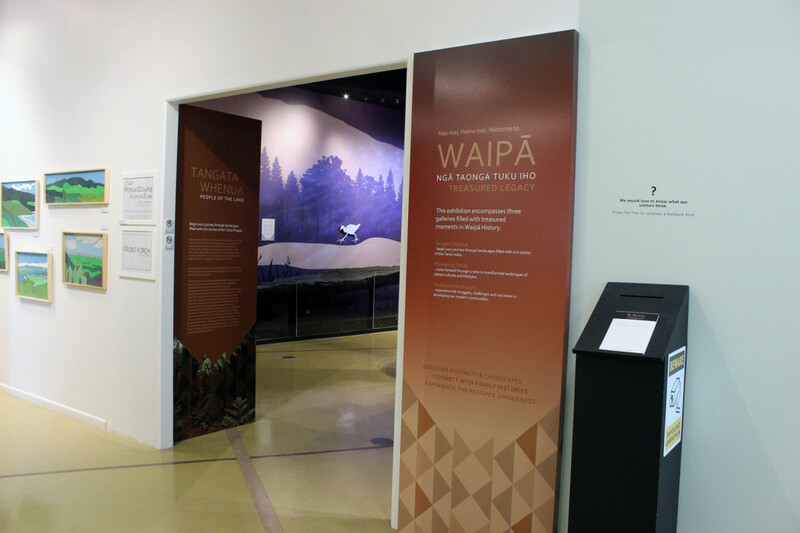 Uenuku stands proudly in our Tangata Whenua gallery. This carving represents a tribal god of the Tainui people. Traditional information suggests that Uenuku was carved around 1200-1500AD and his style has a strong Eastern Polynesian influence. In his more ancient form, Uenuku is a god who appears as a rainbow. His spirit is said to have been brought to New Zealand in the Tainui waka. Ko Uenuku: Ko te whaikairo nei te taumata atua o Uenuku te atua o ngā iwi o Tainui. E ai ki ngā kōrero o mua i whakairongia a Uenuku i ngā tau 1200-1500AD. He rite tonu te āhua o te whakairo ki ngā whakairo o Poronīhia i te rāwhiti. I tua whakarere ko te āniwaniwa te tohu o Uenuku. I whiti mai tōna wairua i runga i te waka o Tainui ā tae mai ai ki Aotearoa. He tino taonga a Uenuku ki ngā iwi o Tainui. Uenuku is on permanent display. Visitors are welcome to view Uenuku during our normal opening hours which are listed on our Contact page. Images and further information about Uenuku are available at Miss Jefferson’s Curios at Te Awamutu Museum. As an ancestral taonga, Uenuku has special significance for Maori. We ask users to treat his image with respect. Use of the image, whether photographic or graphic, will not be approved for any purpose of event other than those which are considered to be of national importance. -Written applications for use must be submitted to the Director of Museums and Heritage, Waipa District Council. – Permission will be sought from Te Arikinui Kiingi Tuheitia and applicants advised of the outcome.